I think they probably won't fit on the hub, and if they do I don't think they'll fit in the guards. And if they do, I think they'll look crap with a Porsche logo in the centre. 1- thats the worst pic of them ever, you can't even get a good idea of what they look like even generally on a car. get a better, SMALLER pic of them on a car. 3- lug pattern. 5 bolt doesn't mean its 5x114, what you have. 4- offset. needs to be combined w/ the ride width wheel and tire to not rub. Why would you wanna devalue your 'lude by putting German tat on it? The one main concern for me are tires. ...do you know how wide them shts are?!?$? Dude.... you can get similar styled mags for fraction of the price without ordering adapters and on top of that they will actually fit. I f a car can't turn without rubbing guards then wheels don't fit. Simple as that. ever hear of identity crisis on japenese cars? 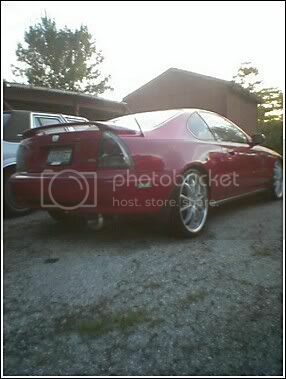 19's ride like total garbage on a Lude, beyond just rough, bumpy, and uncomfortable. The tires would only be about as thick as your finger nail. Don't go wider than 7 inches and if comfort matters at all, no taller than 17". 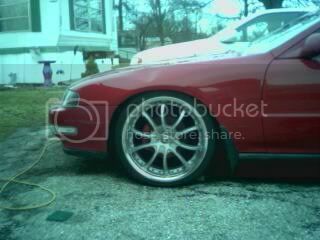 I know im late with this but just wanna find interest with this rims and would garner some time to install it on my lude. By the way i wonder about the size. It seemed bigger than the standard wheel isn't it? are you ****ting me opening up a 4 year old thread for this nonsense? goddamn newbs.